Want a high-quality wireless speaker that supports Apple’s new AirPlay 2 streaming standard? Don’t want to pay an arm and a leg for the HomePod? 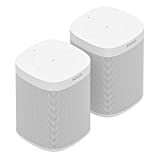 Well there’s another option that’s far more affordable than Apple’s $349 smart speaker, and many would argue it’s a much better option since it’s one of a wide range of speakers that all play together nicely. We’re talking about Sonos, of course, and the Sonos One Smart Speaker offers full support for Apple’s new AirPlay 2 that was rolled out on Tuesday along with the iOS 11.4 release. At $199, the Sonos One is $150 less expensive than Apple’s HomePod. 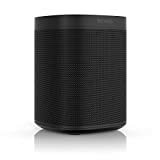 You can also get a pair of Sonos One speakers at a discount on Amazon and save even more money. Best of all, the Sonos One gives you access to Alexa, while the HomePod speaker is stuck with Siri.